A shirt that can heat or cool on demand and maintain the body at a desirable temperature sounds like something that belongs in The Jetsons. It may belong in the real world as well: engineers are developing a unique fabric capable of regulating a person’s body temperature. Researchers at the University of California, San Diego have received a $2.6 million grant from the U.S. Department of Energy’s Advanced Research Projects Agency – ENERGY (ARPA-E). They say their smart fabric could potentially cut down heating and air conditioning bills by up to 15 percent. The team hopes its smart fabric will keep the temperature of the wearer’s skin at 93° F by adapting to room temperature changes. The fabric thickens when the room becomes cooler and thins as the room becomes hotter. How will the engineers make this happen? 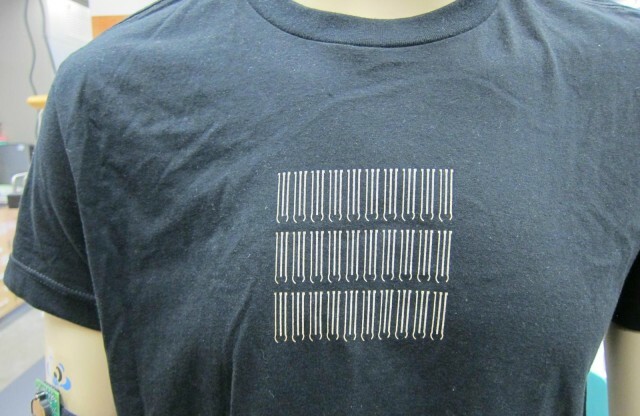 It’s somewhat simple: they’ll insert polymers that can expand or shrink inside the smart shirt. “Regardless if the surrounding temperature increases or decreases, the user will still feel the same without having to adjust the thermostat,” added Wang. The nanoengineer is collaborating on the project with Renkun Chen, an assistant professor of mechanical and aerospace engineering. Chen is currently working on thermoelectrics, which are printable supplemental heating and cooling devices. They will be added to certain spots of the fabric to alleviate “hot spots” such as the back, for example, which tends to heat up faster than other parts of the body. “With the smart fabric, you won’t need to heat the room as much in the winter and you won’t need to cool the room down as much in the summer. That means less energy is consumed. Plus, you will still feel comfortable within a wider temperature range,” said Chen. The smart fabric will come with a rechargeable battery that provides power to the thermoelectrics and biofuel cells capable of harvesting electrical power from human sweat. All of the parts (including the biofuel cells and the batteries) will be printed with the help of technology developed by Wang and his team. Right now the technology is still in early stages. As it advances, could they come in handy during deadly heatwaves like the recent one in India, for example?